Voluntary sector bodies have called on the Charity Commission to raise its game in the wake of the critical report into its work from the National Audit Office. The spending watchdog’s report, The Regulatory Effectiveness of the Charity Commission, published today, says that the commission does not do enough to identify and tackle abuse of charitable status and is providing poor value for money. It says the commission uses its information poorly to assess risk, makes little use of its powers and fails to take tough action in some of the most serious cases. 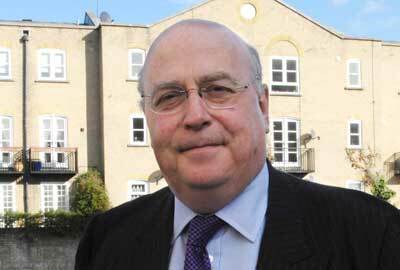 Sir Stuart Etherington, chief executive of the National Council for Voluntary Organisations, said the sector needed a "vigilant and effective regulator" that took prompt action to deal with instances of abuse. "There needs to be cultural change throughout the commission to take it from a period in which it was expected to be a friend to charities to one in which it must be an effective regulator, focusing on compliance with charity law," he said. "While it’s important the commission doesn’t throw the book at charities that have made simple mistakes, for too long it has veered the other way, taking a soft-touch approach in even the most serious cases." Etherington said that in the case of the tax-avoidance vehicle the Cup Trust, "the commission became paralysed by a narrow, legalistic view that demonstrated a real lack of common sense". Sir Stephen Bubb, head of the charity chief executives body Acevo, said the report was a "wake-up call" for the regulator. "The commission must do more to build public trust in charities," he said. "We need it to strike the balance between intervention, enforcement and supporting and praising the hundreds of thousands of examples of good practice that we see across our sector every day. "Let’s hope that this report encourages the Charity Commission and its spokespeople to find the right balance, reassess its approach and address its shortcomings." Joe Irvin, chief executive of the local infrastructure body Navca, said the commission must take firm action on the rare occasions when a charity abuses public trust. "This report sends out a clear message to the Charity Commission that it must raise its game, although the commission’s recent actions show it accepts this," he said. But he said he did not want the commission "to turn into some kind of Rambo, acting tough but showing little understanding". "The challenge for the Charity Commission is to sharpen regulation while keeping actions proportionate and maintaining the basis for a healthy charitable sector." Caron Bradshaw, chief executive of the Charity Finance Group, said the commission must learn from the Cup Trust failings, but the report should not undermine the role that the Charity Commission plays. "A responsible regulator means cracking down quickly and assertively in cases of fraud, abuse and mismanagement, and having the powers to do so – it is clear that there is much to improve on for the commission here," she said. "But it also means providing the regulated population, charities, with access to the tools to comply." She said that valuable elements of the commission’s work, such as providing general advice to charities, were working well and should not be rubbished as a result of the justifiable criticism in the report. "We should be careful not to tar all elements of its work with the same negative brush," she said.